Netflix is stocked with so many movies and TV shows that it’s not always easy to actually find what you’re looking for. And while sorting by genre can help a little, even that’s a bit too broad for some. There’s one helpful hack, though, that you probably didn’t know about—and it could make the endless browsing much less painful. As POPSUGAR reports: By simply opening Netflix up to one of its specific category pages—Horror, Drama, Comedy, Originals, etc.—you can then sort by release year with just a few clicks. All you need to do is look at the top of the page, where you’ll see an icon that looks like a box with four dots in it. Once you click on it, it will expand to a tab labeled “Suggestions for You.” Just hit that again and a dropdown menu will appear that allows you to sort by year released or alphabetical and reverse-alphabetical orders. When sorted by release year, the more recent movies or shows will be up top and they'll get older as you scroll to the bottom of the page. This tip further filters your Netflix options, so if you’re in the mood for a classic drama, old-school comedy, or a retro bit of sci-fi, you don’t have to endlessly scroll through every page to find the right one. If you want to dig deeper into Netflix’s categories, here’s a way to find all sorts of hidden ones the streaming giant doesn’t tell you about. 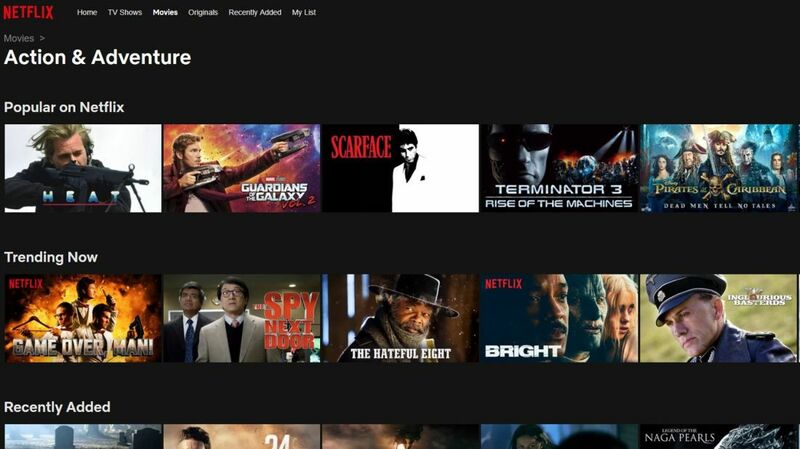 And also check out these 12 additional Netflix tricks that should make your binge-watching that much easier.